Cheers, hazy lovers! How are your Hazy IPA brackets looking so far? 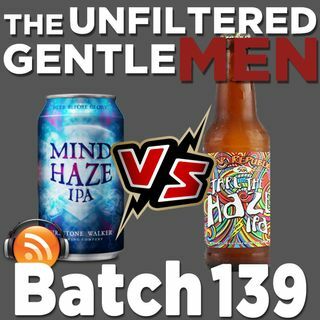 It's game two of our March Madness Hazy IPA Tournament and Firestone Walker's Mind Haze, a newcomer to the hazy world is taking on Thru the Haze from Bear Republic. This close matchup has to go into overtime to determine a winner. Greg has a chance to test out the new Dave and Busters in his neighborhood with some Booze League friends and heads to Disneyland for the Food and Wine Festival to check out their craft ... Más informaciones beer scene. Dan has a grievance about all the kids that show up to his places of drinking, including D&B. Listener Mike leaves us a voicemail and has a challenge for Dan. The gentlemen discuss the benefits of getting your booze from Costco. Scott has a run-in with the law with his latest Tales from Uber. In Booze News: a famous brewpub owner is running for president, the bad news about drinking too much, a drunken captain crashes his cargo ship, a man fakes his own abduction to avoid his Super Bowl payout, and find out which state is the most sinful. Our Beer Babe of the Week is Autum, follow her on Instagram @thepgh_brewnette! Old Timey Word of the Week: "Lout .” Use it in a sentence on social media and tag us for a shout out!